Attacker Felix, 19, has been heavily linked with a move to Manchester United while Barcelona, Juventus and Real Madrid are also reportedly interested in him. His current contract includes a €120million clause and runs until 2023. That is unlikely to deter any of the biggest clubs in Europe, but Vieria insists they are keen to keep him and claims they will do all they can to ensure that happens. Reports claim United are eyeing Felix as one part of a potential triple raid on the Portuguese league. The Mirror says United are also keen on his Benfica team-mate Ruben Dias as well as Sporting Lisbon’s Bruno Fernandes. Ole Gunnar Solskjaer’s side are desperate for new defenders and Dias is a regular at centre-back already despite being only 21 years old. Meanwhile, Fernandes, 24, is a midfielder who already has a significant amount of experience and 11 international caps for Portugal. Felix is perhaps the most exciting prospect of the trio. And while president Vieria insists they will not sell their most promising youngster, sporting director Rui Costa admits the decision might be taken out of their hands. 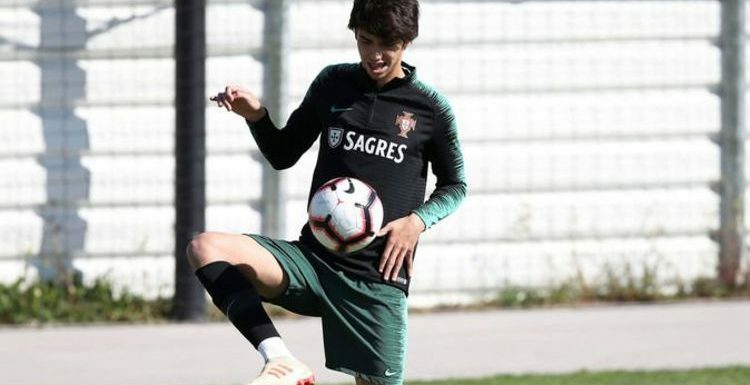 Felix has drawn inevitable comparisons with Cristiano Ronaldo but Portugal manager Fernando Santos moved to play them down after calling him up to the senior squad for the first time earlier this month. “They don’t have the same characteristics,” Santos said.